Cal Air Cooling and Heating is proud to have served Southern Nevada commercial and industrial customers for more than 35 years. We pride ourselves as being one of the best Las Vegas commercial HVAC contractors. We have serviced schools, offices, government agencies, warehouses, and malls for HVAC projects. 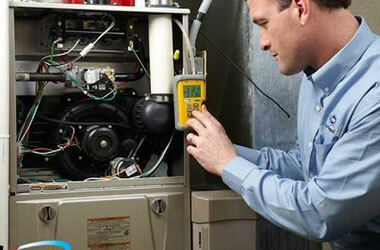 We strive to provide quality service for your commercial HVAC needs. We are an authorized Carrier commercial air conditioner dealer. Call us to inquire about our commercial air conditioning systems or commercial air conditioning units. We are an authorized Carrier commercial HVAC dealer. Call us to inquire about our Carrier commercial HVAC systems.